This controller is awesome! 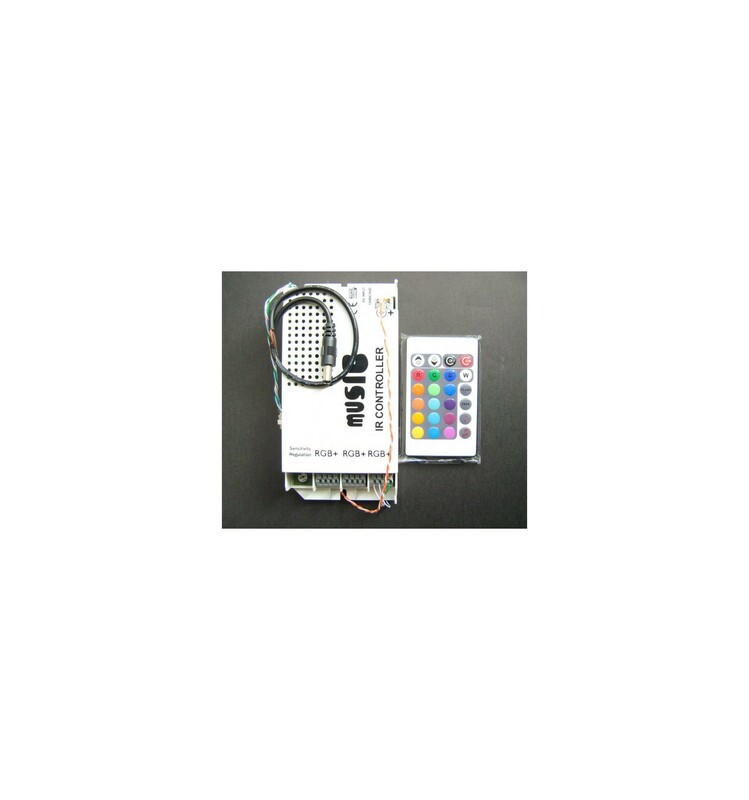 It has two fantastic music activated modes, one a smooth fade and the other a sharp flash that goes along to the beat which is picked up by an onboard microphone. 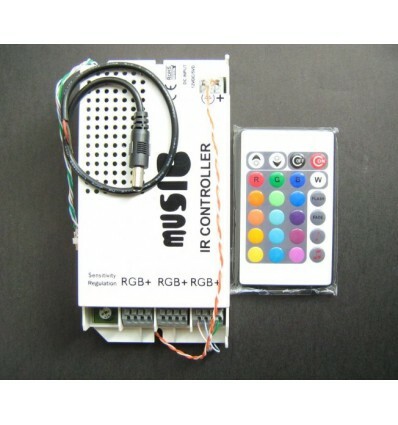 This controller includes an IR remote control that allows you to also use it as a standard controller where you can select any colour you like or several automatic groovy modes!